Legit advertisement or dirty campaign trick? That's the question for Travis County prosecutors who are reviewing a criminal complaint against the influential conservative group Empower Texans. At issue: A mailer that looks like an official government notice targeting their top bête noire, state Rep. Charlie Geren, R-Fort Worth. * Editor's note: this story has been updated with comments from Empower Texans General Counsel Tony McDonald. “It’s under review,” Montford said. The mailer underscores how hard it can be for voters to understand who is sending and funding the political messages they receive. The name "Empower Texans" does not appear on the ad. Nor is there any "paid for" political disclaimer on it. 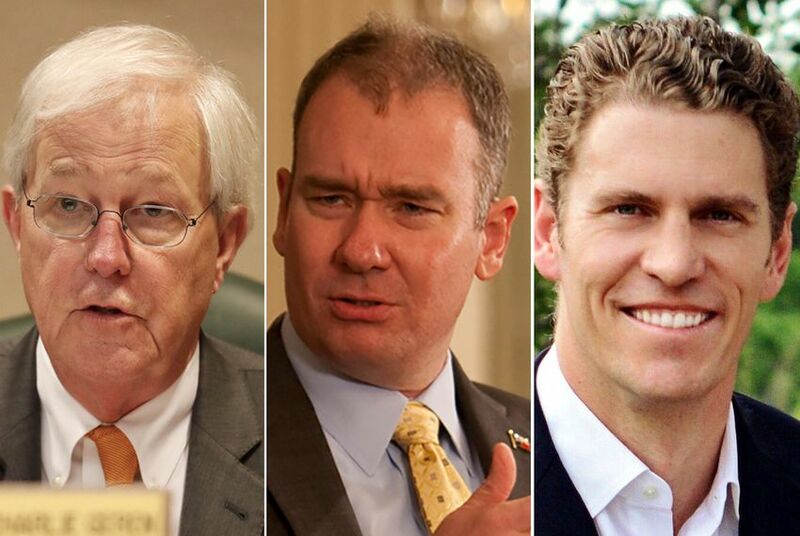 Empower Texans is a non-profit "dark money" group that does not have to disclose its donors. Geren said confused voters have asked him about the mailer. Empower Texans General Counsel Tony McDonald said the group had not heard from prosecutors or seen the complaint but he vowed to fight any legal action against the non-profit. "There's not a chance in hell that we're ever held liable under 37.11," McDonald said. "If we've got to fight it, we'll fight it. We never back down from First Amendment fights, ever." He disputed the idea that voters might find the mailing "deceptive" and said the contents of the ad were truthful. Earlier, Empower Texans' CEO Michael Quinn Sullivan took to Twitter to respond to queries that the Tribune sent to him via email and voicemail. "Haha! 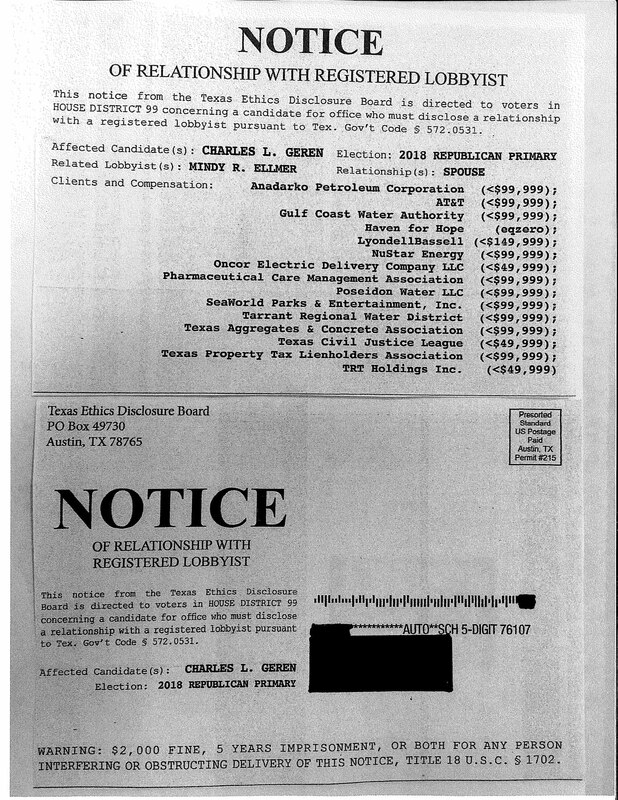 #TxLege @CharlieGeren doesn't like people finding out about his major conflicts of interest," he said, adding that "Corrupt Charlie" was "working the Travis County DEM district attorney to try to shut us up." The district attorney's office in Travis County, a liberal stronghold, is in Democratic hands. Sullivan works to get conservative Republicans elected to office. Geren said he has adhered to all ethics laws related to the disclosure of any potential conflicts of interest involving Ellmer. The longtime Fort Worth incumbent faces a primary challenge from businessman Bo French, one of the top recipients of largesse from Empower Texans' political action committee.